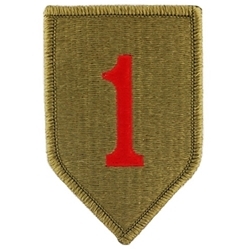 Recognition Bars, Known as "Candy Bar" "Candy Stripe"
101st Sustainment Brigade "Life Liners"
101st Combat Aviation Brigade "Wings of Destiny"
Buy Shoulder Sleeve Insignia Wholesale!! Click Here! !